Shoe Folk is primarily a production and service platform that researches, innovates, and mediates folklife handcraft knowledge in the field of footwear – its heritage as well as its practices. As an embassy of traditional handcraft skills, we rekindle lost and forgotten techniques from diverse cultures in the midst of a society where the awareness for resource-friendly production processes is increasing, along with a desire for quality and participation. Shoe Folk encourages enthusiastic DIYers, enterprises, educational institutions, and the therapeutic field to employ the creative act as a way of reflecting upon one’s own actions and thereby stimulating new approaches and solutions. Shoe Folk cultivates the satisfying experience of practising a original trade. Spaces for manual creativity have an ordering and transforming effect on us – we are in flux. The participative concept of Shoe Folk, a Noah’s Ark for handcraft, should be seen and should grow. You too are invited to join! The basis of this mediation work involves the realms of preservation and research as well as inventorisation and documentation. Experience and learn the knowledge of ethnic cultures through handcraft art. Re-establishing an authentic connection between the present day and the origins of our cultural heritage through direct contact with those who are actively practicing it. 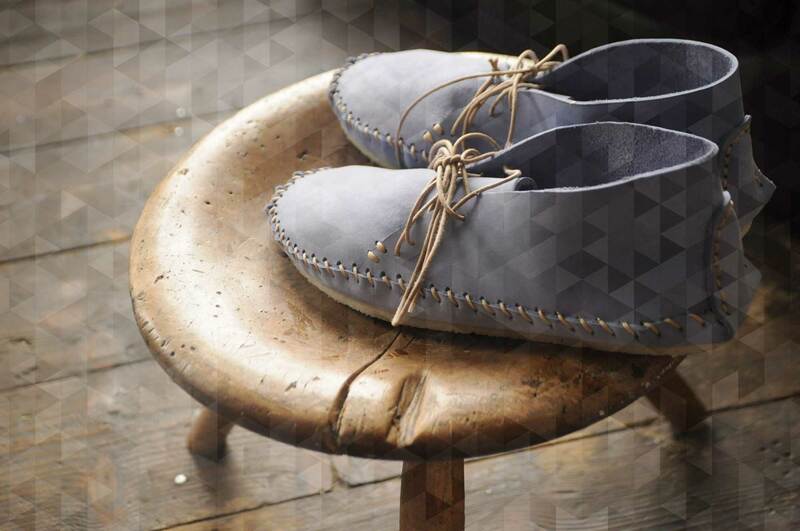 The cultural diversity of the craft of shoemaking is preserved and given a new lease of life. A way to finding ecological, social and cultural self-confidence through practice-oriented workshops and evocative storytelling. Be active and get in touch – we bring craft folk together and invite you to join our co – labor – a(c)tion! Social Footwear means the simplest tricks leading to an autonomous lifestyle are used and made openly available. The desire to do things for yourself. To forge new paths – in your self-made shoes! Hand & Heart the Shoe Folk Embassy Initiative is Bernadette Hehenberger, supported by her craft folk – artists, designers and handcraft workers. In Austria the production of shoes and accessories (unfortunately) has been almost entirely outsourced abroad. We purchase our goods from an anonymous global mass market. Both the skills connected to the manufacturing of these products and the economic value added are thus lost for the people and the enterprises. Therefore, we strive for a new experience of traditional techniques and materials.